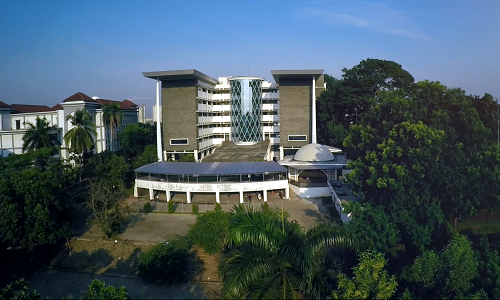 NICT Building, UIN NEWS Online- In order to improve maximize the efficiency of official administration, communication and information between organizational units within UIN Jakarta. AUK Bureau of UIN Jakarta in cooperation with the Research and Development Agency of the Ministry of Religious Affairs of the Ministry of Religious Affairs of the Ministry of Religious Affairs conducts Education and Training in the Working Area (DDWK) of the Official Scripts of UIN Jakarta, Monday-Friday (12/4-8/2017). This was conveyed by AUK Bureau Chief Dr. H Rudi Subiyantoro M Pd on his speech during the opening of training activities at ICT Training Center and Research, Ciputat, South Tangerang. According to Rudi, the event which was attended by 30 representatives of work units in UIN Jakarta neighborhood with this particular qualification should be appreciated. “This activity is very meaningful in order to improve the quality of human resources in the environment of UIN Jakarta specifically regarding the official letter governance,” said Rudi. This educational and training activity was officially opened by the Head of Training and Education Center of Indonesian Agency for Research and Development of the Ministry of Religious Affairs, H Saeroji, accompanied by UIN Jakarta AUK Bureau Chief Dr. H Rudi Subiyantoro MPd. 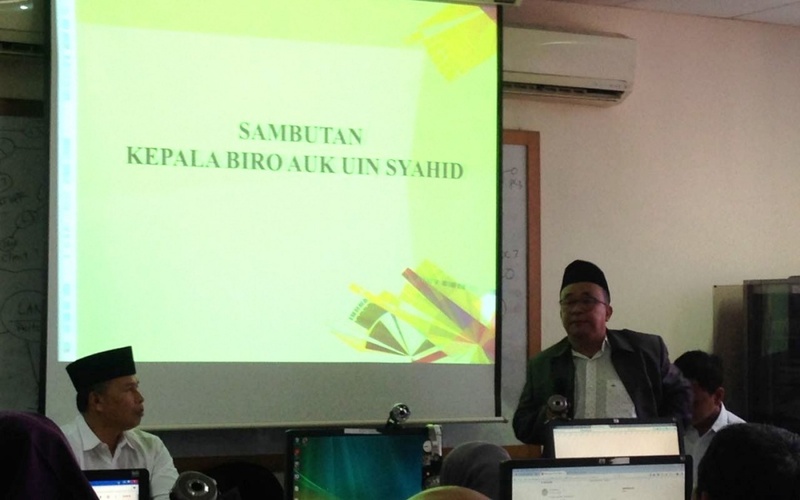 In his speech, Saeroji expressed his pride to organize the activities on the famous and prominent campus within the Ministry of Religious Affairs. 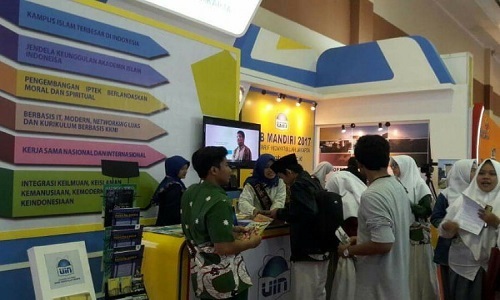 Another important thing is, it is hoped that in the future UIN Jakarta can utilize the cooperation with Center of Education and Training for Administration Officials maximally in order to improve the quality of human resources of UIN Jakarta employees, through various cooperation formats that have been provided. It should be informed that, all instructors or trainers of this activity come from officials and Widyaiswara from Center of Education and Training for Administration Officials Ministry of Religious Affairs. While the material presented in this training, revolves around the governance of the text of the good from the basic knowledge aspects of the official script, the legality of the governance of the official script, the official documentation of various products of the Decree of the Minister of Religious Affairs, and the practice of making the official letter. Hopefully this activity is useful.